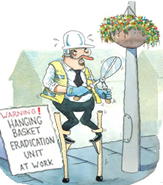 Health and safety at work legislation applies to all employers including local authorities. The law is about protecting people at work – or those affected by work activities. All workers are entitled to work in environments where risks to their health and safety are properly controlled – wherever they are working. People who are affected by work activities will include, for example, those in receipt of council services or attending an event run by the council. In situations like these, if there is concern about risks to these people arising from either the way work is organised; the level of supervision; or maintenance of equipment, then health and safety law is likely to apply – and you can now consider what proportionate risk management means in practice. Sometimes public protection decisions are mistakenly linked with health and safety at work requirements – when in fact they are covered by more specific legislation or regimes designed to protect, for example, consumers, children or road users from everyday risks. Checking if there are specific legal requirements will help you and everyone affected to better understand the reasons for decisions – even if they are unpopular. It doesn’t help anyone understand the decision if a vague reference to ‘health and safety’ is used when there is a much more specific reason. The section below has links to useful websites on public safety, health and nuisance issues. If you decide it is, after all, a genuine health and safety at work issue, you can now consider what proportionate risk management means in practice. If the activity does not involve a work activity, or is an organised event that does not involve people at work, commercial services or work premises - then health and safety at work law does not apply. Health and safety at work law does not generally apply to wholly volunteer-run events such as street parties. HSE has published guidance that explains this in more detail. Understanding what proportionate risk management means in practice may help you put everyday risks into perspective. Occupational health and safety legislation is not about restricting the everyday activities that most people know how to deal with. It is about taking practical steps to protect people from real work-related harm.